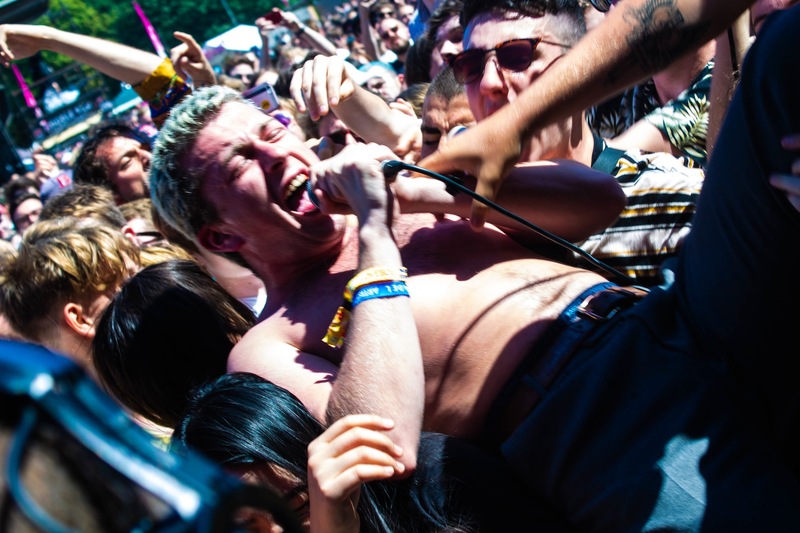 Citadel is the third and final festival this year to unhinge its tent pegs from Victoria Park’s grounds and relocate elsewhere, loyally following in the footsteps of its older, and slightly edgier sibling Lovebox. There has been much speculation as to why this move happened and why crowds are being forced out of nice, familiar Tower Hamlets and into the wilderness of West London. But a fresh start may just be what Citadel needs. Shame take to the Main Stage at 2.55pm and seem to absolutely revel in the small but lively crowd they have accumulated. They open with fan favourite 'Concrete' and slip in to the equally popular 'One Rizla'. Considering the ridiculous temperature at this point the crowd is in great shape, and the sight of frontman Charlie Steen’s naked torso emblazoned onto the two massive screens either side of the stage only makes the crowd hotter. 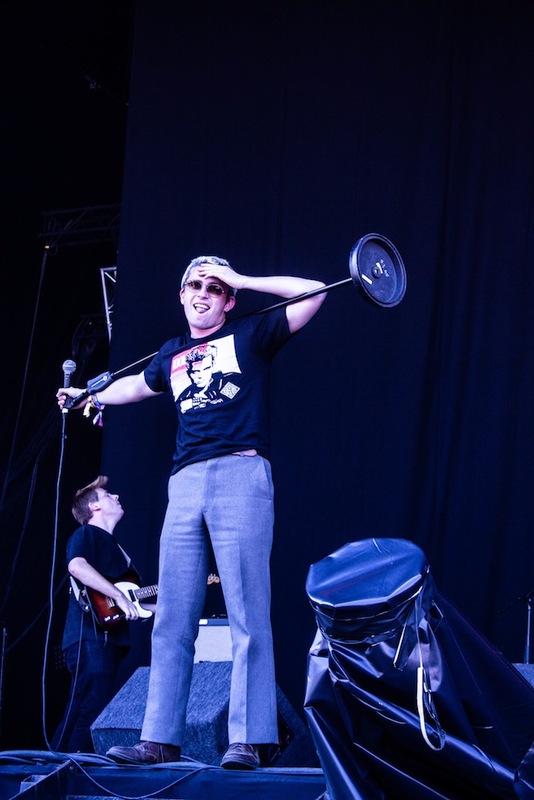 Shame embody the confidence and stage presence of a band that have been together a lot longer than their reality and the onlookers are lapping it up. 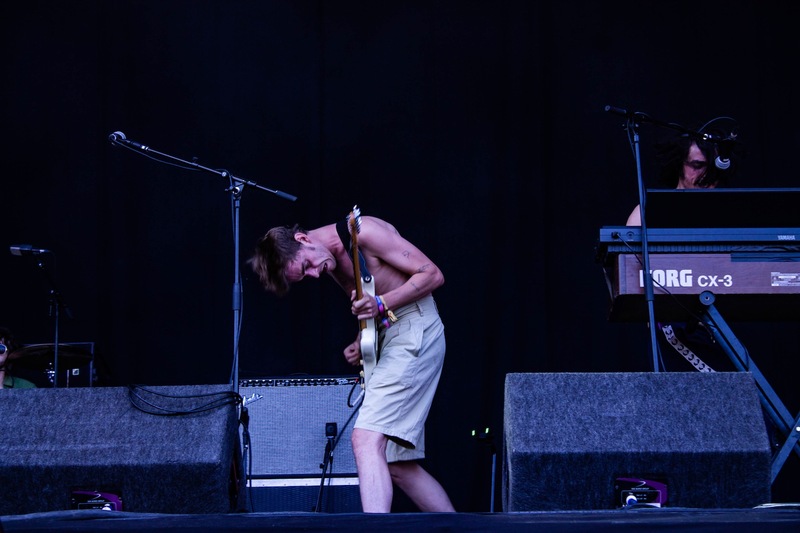 They end their seven song set with an explosive rendition of 'Gold Hole' and the way that the band take to the main stage with such ease is a real nod to their long and prosperous future at festivals and gigs alike. Goat Girl impressed at Clash’s stage shortly after. Next up at the Smirnoff House are the delightful cosmic synth (supposed) duo Earthboogie. The barn-like stage set up is nicely fitted into a large yet secluded corner and separates the boogy from the various guitars you can hear nearby. The disco funk infusion paired with multiple dancers weaving through the crowd in neon spandex bodysuits, covered in glitter and waving ribbons around all add to the atmosphere and makes for a brilliant interjection of getting jiggy with it. 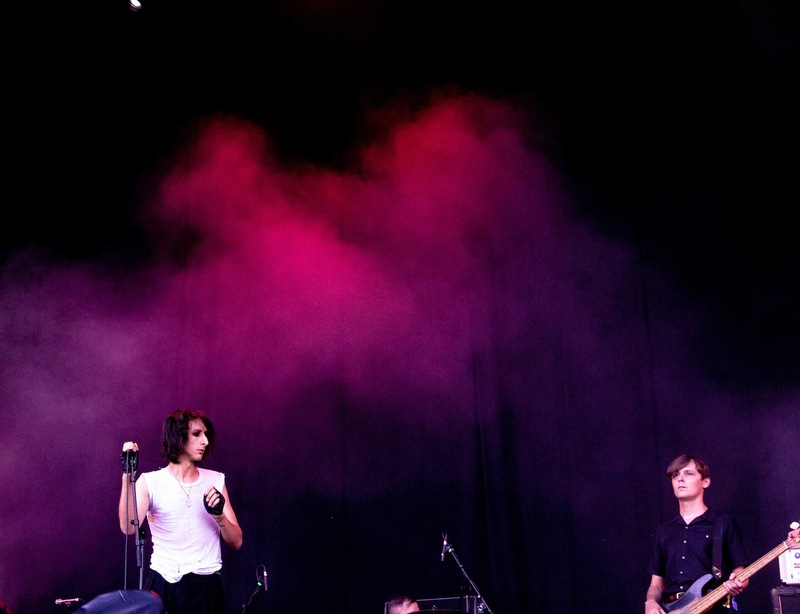 The Horrors’ band make their way on stage and begin with 'Sea Within A Sea', with added introduction. Very convenient, as Faris Badwan and the gang seem to be late. Finally the foursome slink onto the stage, with Faris exclaiming “good afternoon we are The Horrors... I apologise for my late arrival, nobody told me the festival had moved from Victoria Park...” to be met by die-hard fans cackling away. 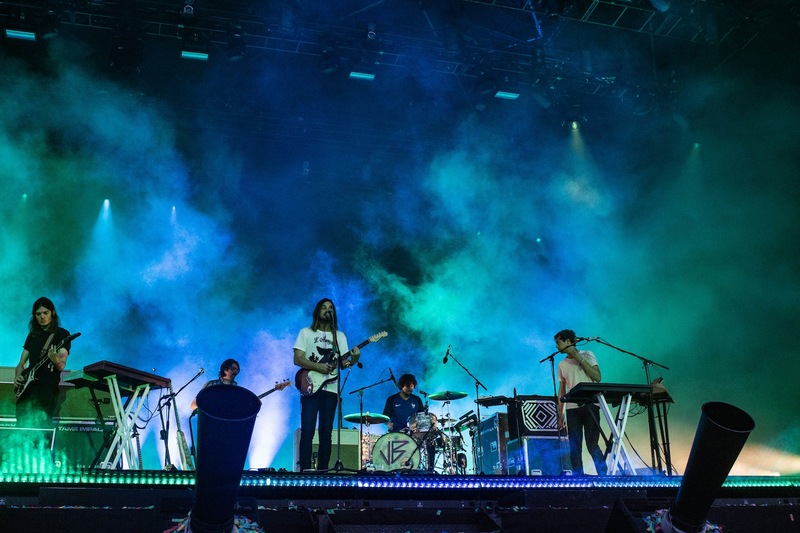 If indie music and long, black swishy hair is your thing, then you will enjoy this, yet the combo of the heat and the tardiness makes the crowd’s reaction fall slightly flat. 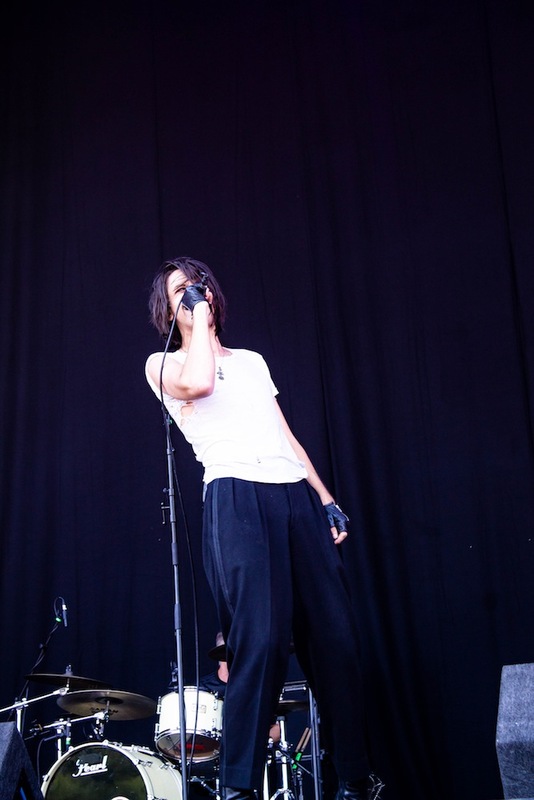 Whether the crowd are into it or not, The Horrors are seasoned nonchalant rockers and remain unfazed as they effortlessly slide in to their second track 'Machine', which is off their 2017 album 'V'. The track shares so much in common with previous tracks, a decade before its time, but with added maturity and some other-worldly riffs. The Horrors remain very cool. The set was short and sweet much to the crowd's dismay, next playing 'Still Life' and ending with 'Something To Remember Me By' (coincidence? ), with Faris concludes the set with “you’ll have to come see us if you wanna hear more” which was met by a few unhappy sounds from the crowd. La Femme were in very high spirits as they made the stage and were conveniently timed to play around the half time mark of the World Cup final. Their Frenchy goodness lifted the crowd and the panpipes added extra flare to their already very eccentric performance. 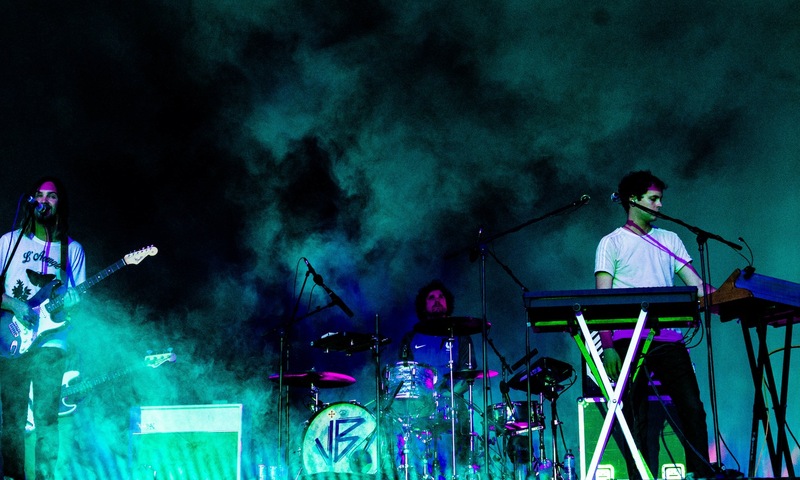 Their stage presence was electric and their tones wistful. A perfect performance, and probably time for food. A necessary shout out to Eazy Cheezy Burgers who absolutely nailed their cheese covered curly fries, and with a full stomach it was time for Fat White Family, arguably the best act of the day. 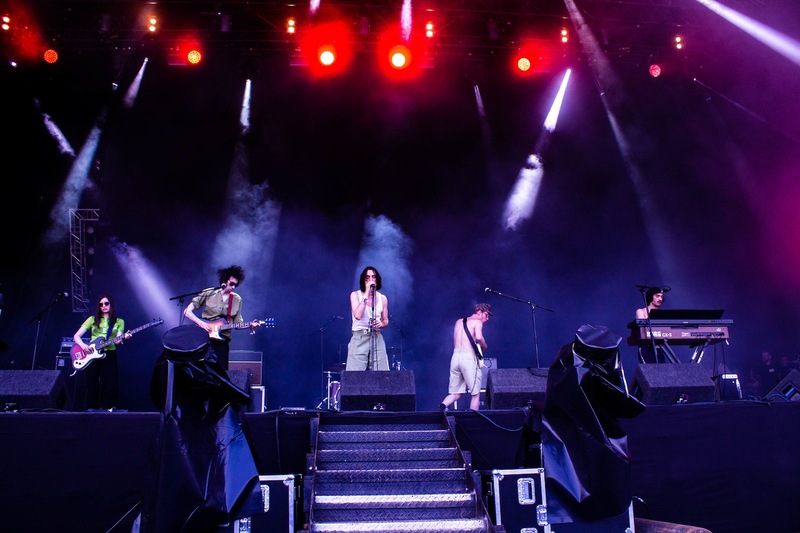 It’s very obvious when the Fat White’s are about to play as a sea of badly done stick and poke covered skin pushes past you on their way to the Main Stage once more. This is the cut off time for family fun at Citadel. Put the children to bed, and gather round one and all for some filthy, sweaty fun. The sun is still beating, but the energy levels have risen. A combo of emotion and raucous energy flocks to the stage as Lias Saoudi spills and spits Guinness. 'Whitest Boy On The Beach' reaches turbo level as mist descends onto the stage and the pit beneath them. Dog walkers currently in Victoria Park are shuddering. HMLTD had the day off to bring some funky fresh sounds to the Hidden Forest and CHVRCHES glistened, gleamed and charmed the crowd into the evening with their gorgeous synth pop and outstanding performances of 'Never Say Die' and 'The Mother We Share'. 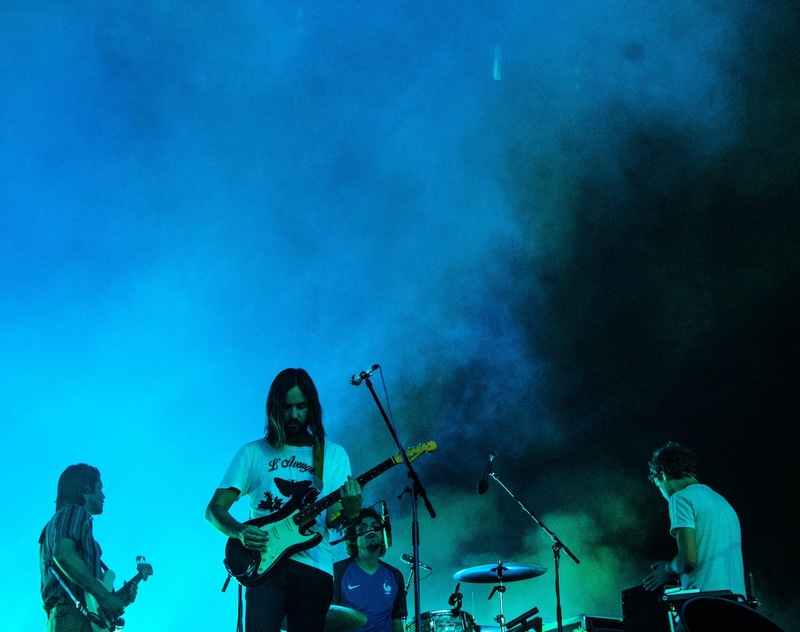 And finally, Tame Impala. A performance which includes a monstrous 17 track setlist which keeps shooting and missing. They give their all but the crowd struggle to receive, and at times the atmosphere feels very anti-climatic. 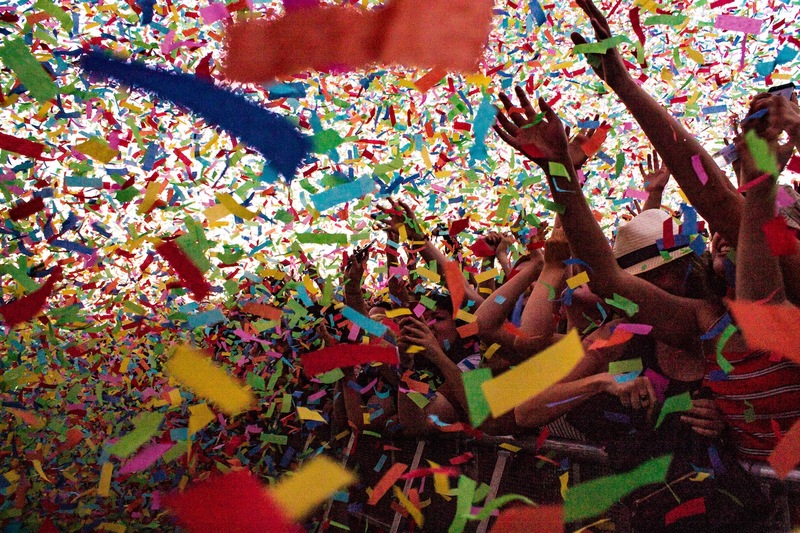 But there are moments where the crowd is finally hypnotised by the psychedelic strobes and trippy visuals of 'Let It Happen', accompanied by a premature confetti cannon and again mid set with 'The Less I Know The Better'. Eventually sets an emotional scene and 'Elephant' is met with an ecstatic delight. In these moments everything is perfect. It’s the set you want to last forever, in this hazy sundae dream. This rollercoaster of a set ends on two highs, 'Feels Like We Only Go Backwards' and 'New Person, Same Old Mistakes' and is the perfect end to a sunny, boozy Sunday.